The Stadium CL22 will crash everything that a pitcher throws your way, and this is what makes it a must have. It has an extreme end-load, but it is also very powerful to ensure that you get the ball over the fence consistently. The bat has SC4 alloy handle with ZnX connection to the rest of the softball bat to eliminate vibrations, a Big D End Cap and Rotation Index to make sure that you get an even break-in. Approvals: It has certifications and approvals for play in ISA, ISF, NSA and USSSA and this means that softball players can use it in most tournaments in the USA and also around the world. Barrel: The barrel on this bat is standard 12-inch length with 2¼ inches in diameter. However, what makes it unique is the fact that it is composite and so it assures batters explosive performance due to the maximum stiffness. ZnX Alloy Handle: The ZnX handle is an important feature of this bat, and although it might not look like it the bat would not perform as it does without it. This exclusive handle design increases stiffness and durability, and it does not flex as much as other handles which mean that the barrel will deflect more and this, in turn, increases the overall performance of the bat. End Cap: CL22 has a Big D End Cap which is a fantastic feature, and it is one of the things that make it unique. The end cap has a robust design that increases the end-load of the bat and focuses all the power to the sweet spot to give a batter an impressive hit. Rotation Index: This bat has rotation index, and this ensures that it breaks in even so that batters can always get the perfect shot regardless of how they hold it. It is super hot out of the wrapper, and so it will not require any break-in. This bat has some beautiful graphics that makes it very attractive. 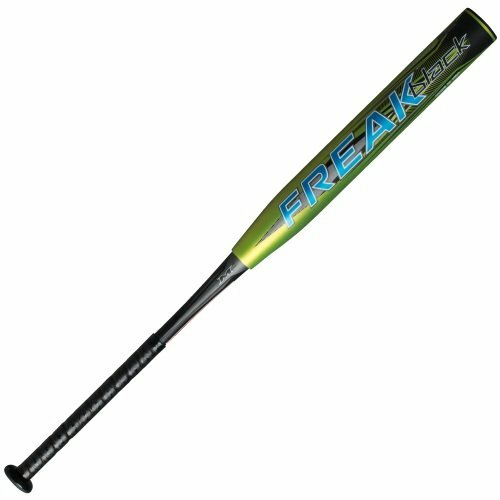 The slow pitch bat is durable with an amazing end-load. DeMarini CL22 feels great in your hand, and it is also very easy to swing. The price is affordable and will make many batters happy. Sweet spot feels small, and it can be hard to locate. The sound that it makes when you hit the ball is not very impressive. Although it will take you through the season, durability is still a concern. You do not get to make a choice from plenty of colors. The grip still needs some lizard skin. The bat is a batter’s most valuable weapon, and so you should ensure that you have nothing but the best when on the box. 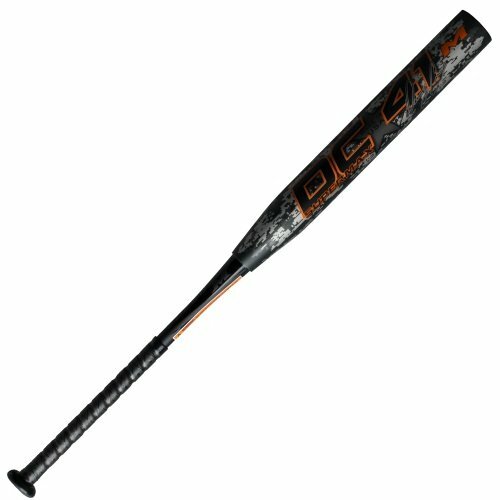 If you are looking for something top notch that you will enjoy swinging the CL22 from DeMarini is what you need to buy. It is very attractive, and this is all thanks to the beautiful graphics, but there is more to it than the looks. Unlike most others it is hot off the wrapper, it is durable, and it has a perfect end-load. Even with the few complaints such as lack of variety in the colors or the small sweet spot, it is still an excellent bat that will help take your game a class higher.